The letter from the former New Mexico governor’s physician, Dr. Lyle B. Amer of Santa Fe, explains that the 63-year-old Johnson’s “decades of dedication to physical fitness, diet, no drinking, and no smoking have paid dividends as far as his current extraordinarily good health at this time of his life.” (We’ll come back to that smoking line). 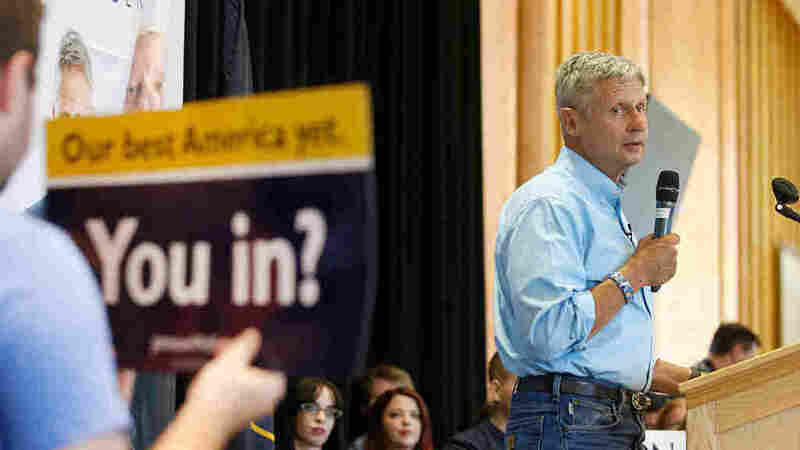 And while Trump’s doctor once boasted that the GOP nominee would “be the healthiest individual ever elected to the presidency,” it might be Johnson who could claim that mantle if his long-shot bid were to succeed. Johnson has run 17 marathons, four Ironman Triathlons, is an active rock climber, and climbed the seven highest summits on every continent, including Mt. Everest (just after breaking a leg!). His doctor writes that Johnson, who weighs 172 pounds and has a normal blood pressure and pulse, exercises about an hour a day. Before campaigning for president though, he would exercise approximately two hours a day. Trump, in contrast, weighs 236 pounds and admitted when he discussed his medical records on The Dr. Oz Show that he doesn’t exercise much (though he said he believed “moving his hands around” as he was campaigning counted) and has an affinity for fast food. Johnson has Celiac Disease, an autoimmune disorder where he can’t ingest gluten, so he adheres to a gluten-free diet. He doesn’t take any medications (Trump takes cholesterol medication while Clinton takes medicines for her thyroid and to prevent blood clots). Johnson’s doctor does recommend he begin taking a Vitamin D supplement along with aspirin to prevent heart disease. While Johnson’s doctor says he doesn’t smoke cigarettes and hasn’t drunk alcohol since 1987, the pro-marijuana legalization candidate is famous for partaking in the drug, he said earlier this summer he has abstained from smoking while he’s running for the White House. The letter from his physician doesn’t address that drug use, and a call to his doctor’s office wasn’t answered. Johnson’s path to the White House is an uphill one, even with voters frustrated with their choices of Trump or Clinton. But he’s made several foreign policy flubs recently that may have made that climb even more difficult, blanking this week on a foreign leader he admires. Earlier this month, he also wasn’t aware what Aleppo was — the Syrian city at the center of the country’s civil war. It’s been one year since health officials in Michigan warned people in the city of Flint to stop drinking the tap water after a research team from Virginia Tech discovered elevated lead levels. To this day, Flint’s water is still not safe to drink without a filter. While funding has been scarce to replace corroded pipes, Congress reached a deal this week that could send millions of dollars in aid to Flint. 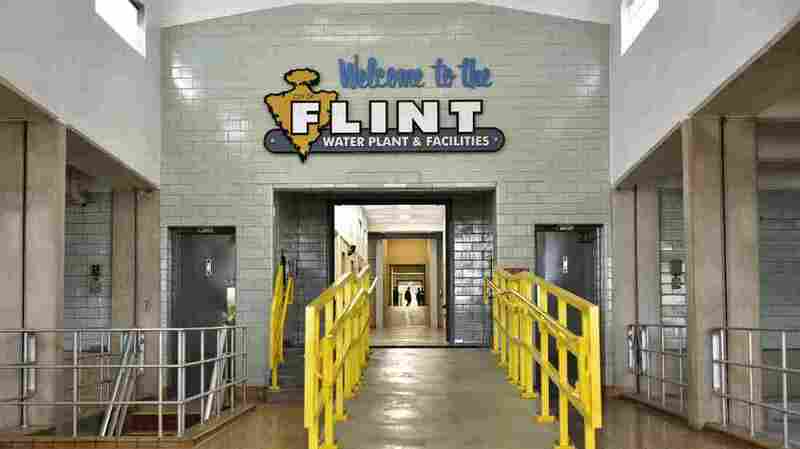 Lead pipes in Flint were severely corroded over the 18 months the city used water from the Flint River. The water was not treated properly, which allowed lead from the old pipes to contaminate people’s drinking water, exposing tens of thousands of residents. Flint has received $27 million from the state to replace old lines, but progress has been slow. Thousands of pipes still need to be replaced, and the city estimates that fewer than 200 have been fixed so far. One of the people closely involved in the effort to replace pipes is Laura Sullivan, a Flint native and professor of mechanical engineering at Kettering University. Sullivan, who has worked on clean water projects all over the world, tells NPR’s Ari Shapiro that she was wrong to be so optimistic about the situation in Flint when he first met her back in January. Well, you know, at first it was the money getting here, and then once the money got here, there were all kinds of stipulations about who could be hired and what bids they had to submit and just a lot of red tape that Gen. Mike McDaniel, who’s been running that whole process, has been trying to be patient about moving forward on. It feels more and more like a system in parts of the world where the government is corrupt, and there are too many hands that are involved that don’t involve the people who are actually living in poverty. Well, one could probably guess that somebody who could have done that didn’t have the will to do that because I can tell you the mayor of Flint and Gen. McDaniel and the people of Flint were doing everything they could to make that happen. And once Gen. McDaniel was able to get through that horrendous bidding process — as soon as we finally got that green light — he began working, and they’ve quickened the pace every week. Well, I can tell you that with the mayor and the plumbers union at the beginning of this, we sat down and made a commitment to working with licensed plumbers on the pipe replacement program, and the plumbers made a commitment to expanding their apprentice program and that has been done. So there have been collaborations that have resulted in vocational training that will progress into employment. Slowly, yes, there are more opportunities coming into Flint. Well, it ought to be a lot different. It ought to be just a one-time, oh my gosh, people weren’t paying attention, and they were reckless, and now we figured it out, and now we fixed it. But unfortunately, it feels more and more like a system in parts of the world where the government is corrupt, and there are too many hands that are involved that don’t involve the people who are actually living in poverty. And the people who are living in poverty aren’t empowered to be part of the solution. Grammy- and Emmy-winning conductor, pianist, composer and arranger Lee Musiker has long worked with leading jazz, classical, pop and Broadway performers. He conducted the Chicago Symphony Orchestra and the National Orchestra in the U.S. and Canada. His work can also be heard on the soundtracks of major Hollywood films. Musiker brings a wealth of knowledge to this 2005 episode of Piano Jazz, on which he performs “Fascinating Rhythm” with host Marian McPartland. Originally broadcast in the winter of 2005. 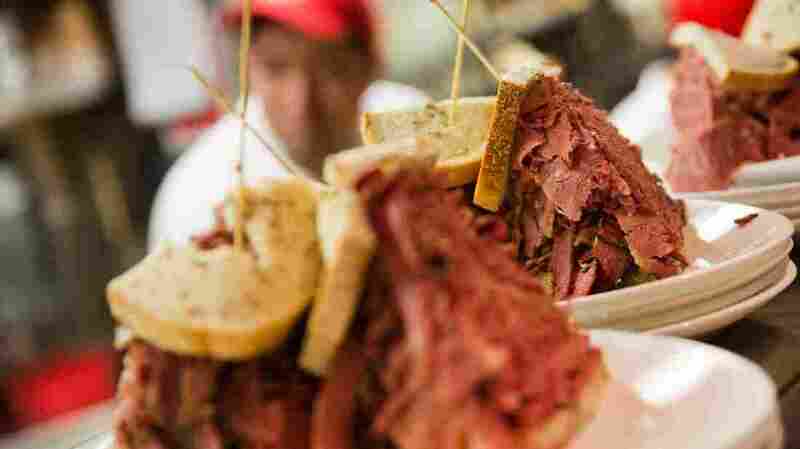 It’s one of the most famous delis in the U.S., if not the world; its food has been called “nearly orgasmic” — but now comes word that New York’s famed Carnegie Delicatessen will be closing its doors at the end of 2016. The deli first opened in 1937 — meaning that it will close just shy of its 80th anniversary. The deli’s current owner says she wants to retire from running the restaurant. Carnegie’s legacy, its owners say, will now live on through a family-owned meat processing facility and commercial bakery in New Jersey, along with a scattering of licensed locations around the U.S.
As news of the closing rippled far beyond the deli’s home turf in Manhattan Friday, hundreds of people responded with sadness and disbelief. A large crowd lined up outside the restaurant’s doors Friday, braving the rainy weather to get what could be their final taste of Carnegie’s hot pastrami sandwich. Others said the city should find a way to classify Carnegie Deli as a cultural landmark that must be preserved. Carnegie’s owner, Marian Harper Levine, “tearfully broke the news to 60 heartbroken employees on Friday morning,” according to the New York Post. Levine, whose family has owned Carnegie since 1976, says she needs to get away from the restaurant — but on Facebook and elsewhere, fans asked why she couldn’t simply sell the deli. Of course, there are other beloved delis in New York — including Katz’s, which opened in 1888. If you’re in the mood to see more pastrami, member station WNYC has you covered, thanks to a short video about the deli from 2014. President Obama spoke at the funeral for former Israeli president and founding father Shimon Peres, saying Peres’ dream of peace with the Palestinians should stay alive. NPR’s Robert Siegel speaks with Nahum Barnea, a columnist for the Israeli paper, Yedioth Ahronoth, who attended the funeral of elder statesman Shimon Peres, who was one of Israel’s last surviving founders. Arthur Renowitzky was shot in a robbery and left unable to walk. But through his recovery and with the help of some new technology, he’s regained his ability to walk and has rebuilt his life. In an interview with Maria, novelist and poet Ana Castillo talks about her life – from being a parent to dealing with depression. There are an estimated 5,500 undocumented immigrants in the U.S. who have been diagnosed with kidney failure. For them, that diagnosis can turn life into a series of predictable emergencies.